Since I started driving, I’ve driven five cars on a regular basis. I’ve driven a sport-utility vehicle, a minivan, a station wagon, and two crossovers. The first car that I drove on a regular basis was a 1974 Ford Bronco. It was most definitely my parents’ car, as my father bought it in 1994 to have a four-wheel-drive vehicle for his use in snow. 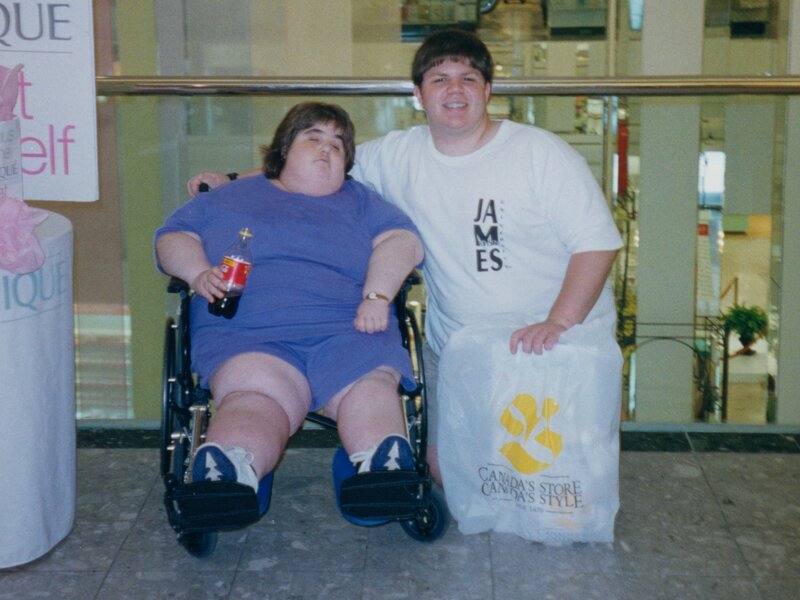 It saw a period of inactivity from September 1996 to May 1997, which was the time between when my father upgraded to a 1996 Ford Ranger pickup, and when I got my driver’s license in May 1997. The Ford Bronco, which we nicknamed “Spot” due to the way it tended to drip oil on the pavement beneath where it was parked, was most definitely an old car. One look at the front of it confirms that. It also had an all-metal interior, no seat belts for the rear seat, lap belts only on the front seats, only one side mirror, and no air conditioning. However, it did have a multi-speaker stereo system, which was totally unnecessary and was about the only thing that detracted from the car’s vintage quality, but it was a good upgrade, as the original radio would have played through a tiny speaker on the front of the dash. This car also had its fair share of problems. It took a while to get started, especially on cold mornings, and wasn’t exactly the most reliable car in the world. Dad taught me how to work the “automatic choke” on that car to get it to warm up, which involved wedging a long ice scraper between the gas pedal and the driver’s seat. It was crude, but it worked. It was also a gas guzzler, as I had to fill it up far more than I preferred. The Bronco also had a tendency to die on me. I remember three occasions during the short time that I drove this car. Once, it stopped running on a straightaway on Route 608 in Stuarts Draft. Another time, it stopped running on US 340 between Stuarts Draft and Waynesboro, at night. Thankfully, both of those times I was somehow able to get it going without any assistance, though it was positively awful to have happen. A third time, it died just short of the railroad tracks on Route 608 in Stuarts Draft. In that instance, another motorist stopped and helped me out of the middle of the road, and then somehow managed to help me get it started again. I only drove that car for seven months. In December 1997, Mom got a new 1998 Toyota Sienna, I got Mom’s old 1991 Toyota Previa, and the Bronco was unemployed. 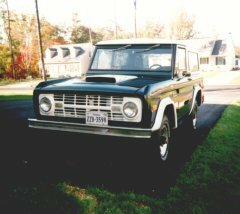 Mom was a big advocate for putting the Bronco out of service permanently, because while Dad was an experienced “car guy”, I was a new driver, and didn’t know my way around under the hood. Thus I needed a more reliable car that wouldn’t randomly die on me. We sold it soon after Mom got her new car, and we would see the new owner driving it around Stuarts Draft for several years after. My parents bought our 1991 Toyota Previa LE new in July 1990. It was the family car from 1990 to 1997, and as such, it was also the car that I used to learn how to drive. I got it as a hand-me-down in December 1997 after Mom got a new car, and I drove it until February 2006, when it was retired. The final mileage was 275,275. That car was the family car in more ways than most, because every single member of the family did at some sort of damage to it during its long career. Mom slid on ice while on trip to New Jersey in early 1993, taking out the right headlight. Dad hit a deer on Interstate 81 near Woodstock, Virginia on Thanksgiving in 1994, which required replacement of the radiator, the hood, and the same right headlight that Mom took out the year before. I had an accident in rainy conditions in September 1997, which led to the replacement of nearly the entire left side of the car. My sister’s damage was the lightest, as she brought the garage door down on it when it was too close to the door, leaving a big scratch in the paint on the back hatch. We repaired that with touch-up paint, but it was still quite visible. 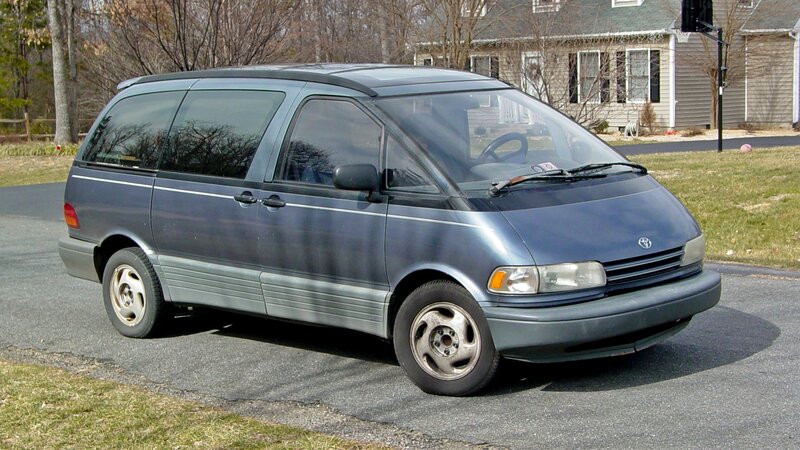 When I took over the Previa in December 1997, it was the perfect car for me. I could carry all sorts of stuff, it was reliable, and it was in great shape with very few issues. It also had a number of amenities, including seven-speaker sound, a cassette player, power locks, two sunroofs, power windows, rear seats that folded up against the sides for extra cargo space, and a rear spoiler. Meanwhile, the Previa’s distinctive egg-shaped profile was certainly unique, though nowadays, it presents a somewhat dated view of the future. However, that distinctive profile had a benefit: I could find it very quickly in a parking lot, regardless of the size of the lot or the amount of cars parked around me. Ownership of the car was transferred to me in April 2004. In February 2006, with a failed annual inspection and the costs of bringing it back up to code’s being far higher than I could afford, I retired the Previa, taking it on one final hurrah to cap off a nearly sixteen-year career before trading it in. On February 9, 2006, I traded the Previa for a 2004 Mercury Sable LS. Going from the Previa to the Sable was a big change, moving from a van to a station wagon, and from Toyota to Ford. I still had lots of room to carry people and things, though. It had power everything, including, among other things, power seats, an all-leather interior, an electronic climate control system, a remote, “smart” keys, a third fold-up seat in the back, and a cargo cover. Being so much shorter in height than the Previa, and lacking the Previa’s distinctive profile, however, it was more of a challenge to find the Sable in a crowded parking lot, especially when an SUV would park right next to me. However, the remote that came with the car often worked to my advantage such cases, as hitting the “panic” button on the remote would cause the parking lights to flash, and make the horn sound intermittently. Looking for the lights and listening for the horn, I could find where I was parked in no time. However, as a Ford vehicle, the Sable unfortunately lived up to the old mantras of “Fixed Or Repaired Daily” and “Found On Road Dead”, as I had to take it in on several occasions for costly repairs. With another major (expensive) repair looming in late 2011, I determined that rather than pay for another trip to the mechanic and then wait for the next problem to come up, that it would be more cost effective in the long run to replace it with a new car rather than repair it. With that in mind, I looked around for a new car, got trade-in bids for the Sable, and then finally traded the Sable in on March 12, 2012 for my next car. 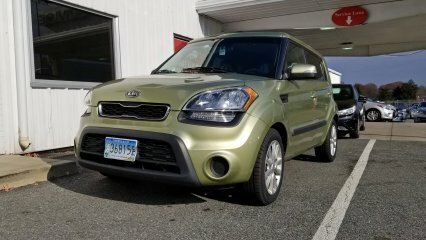 On March 12, 2012, I became the proud owner of a brand new 2012 Kia Soul. This was my first brand new car, and as such, the process for deciding on this car was very methodical, as I did extensive research on what sorts of cars I wanted. First I did an online search, weeding out cars that I could reject out of hand on account of price and other factors. From there, I developed a shortlist of cars to test drive. At the end of that, I settled on a mid-tier Soul. I bought my “alien” green Kia Soul from a Kia dealer in Staunton, Virginia. The Soul was different from what I had been accustomed to. It felt like a much lighter drive, and due to its very tight turning radius, it was far more maneuverable than the Previa or the Sable, which also made it easy to parallel park. It also rode higher, being closer to a minivan in drive height. For me, it was a level entry, which I greatly appreciated. The Soul was great for the first five years, but in its sixth year, it started to develop engine problems. That eventually led to a complete engine replacement by the dealership, which was covered covered under the 100,000-mile powertrain warranty. Coupled with other work that I had done while it was already in there, my car was practically new again. Unfortunately, that new engine was extremely short-lived. On February 7, 2018, the Soul was lost in a fire while driving in Loudoun County, Virginia, most likely caused by poor workmanship in reconnecting the fuel lines during the engine replacement. While my passenger and I escaped without injury, my car was completely destroyed. That loss took a while to get over. That car, unlike anything that I had owned before, had been mine, and mine only. Almost every single one of her 90,000 miles was driven by me. I was very proud of the Soul, and to lose her so suddenly was just heartbreaking. In the week following the Soul’s untimely demise, I did my research and found a new car at a dealership in Frederick, Maryland. 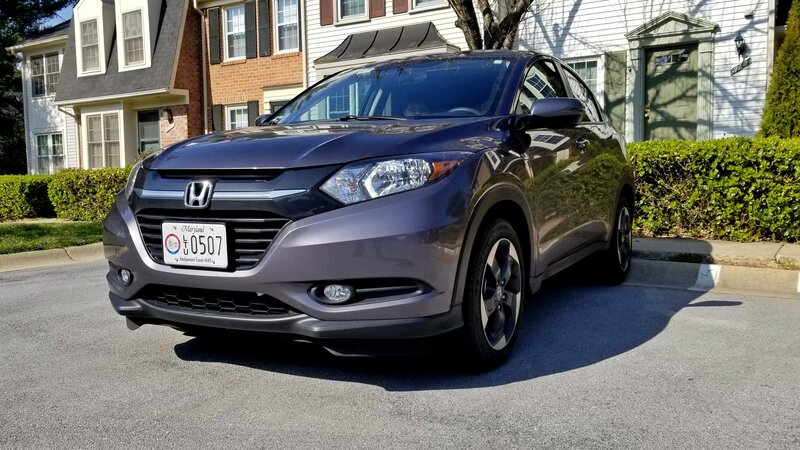 That car was a 2018 Honda HR-V EX – a crossover, which I’ve described as a smaller, sportier version of the Honda CR-V. This car, which Elyse soon nicknamed “Timothy”, is my first all-wheel drive vehicle. While it’s not designed for off-roading, the ability to apply power to all four wheels will certainly help me out in bad weather. The Honda also reminds me of my past cars in several ways. 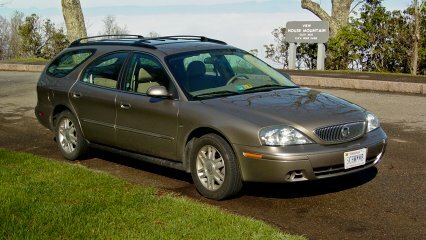 It has automatic headlights, fog lights, an electronic climate control system, and a large rear cargo area like the Sable. It has a moonroof, which combines the functions of the Previa’s two sunroofs into one. It also has a sport mode like the Soul did, though the implementation is different, using paddle shifters on the steering wheel and a separate sport “gear” rather than manual shifting on the transmission selector lever. It also has several features that are new to me, such as a pushbutton start, heated front seats, a backup camera, a right-side camera, a touchscreen interface, and rear seats that fold two different ways. I also got all-weather floor mats, because I tend to wear through cloth mats fairly quickly. Our relationship did, however, start out on the wrong foot. Having bought this car so soon after the sudden loss of the Soul, I was still getting over the loss of that car while I was still getting accustomed to the Honda. It led to a very strong case of buyer’s remorse in the first month, but time eventually healed that wound, and the Honda and I started to grow together and form a bond. Considering that Hondas are typically reliable to a fault, hopefully we will have a long, happy time together.